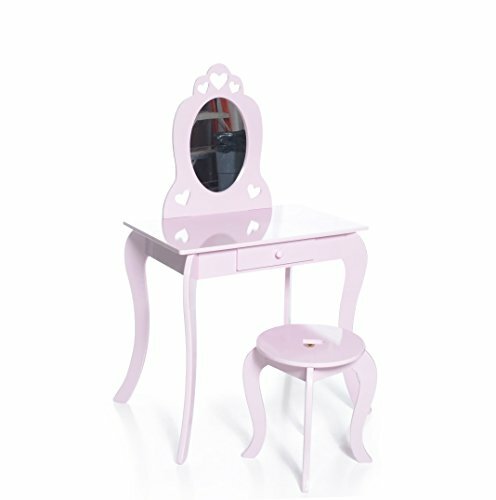 Kids love to copy mommy and now we’ve miniaturized a vanity to keep your lil one from rummaging through mom’s makeup drawer. Hours of fun trying out different looks in the built-in mirror, with a convenient storage drawer just below the counter. 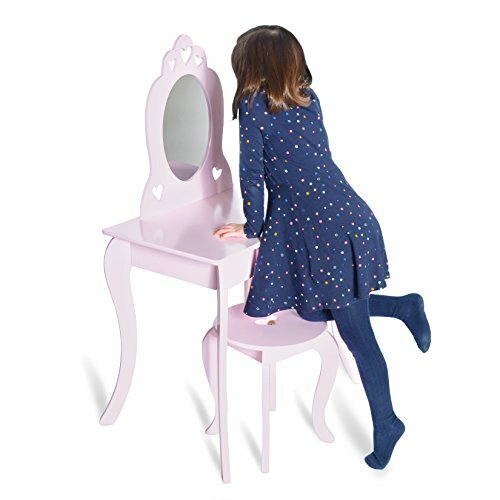 Pretty in Pink Our Junior Vanity Set is the next step up, so grownups-in-training with short legs will appreciate being able to slide up to this equally tiny wooden desk and chair, but also enjoy having genuine furniture that looks and feels like the real thing – in pink. 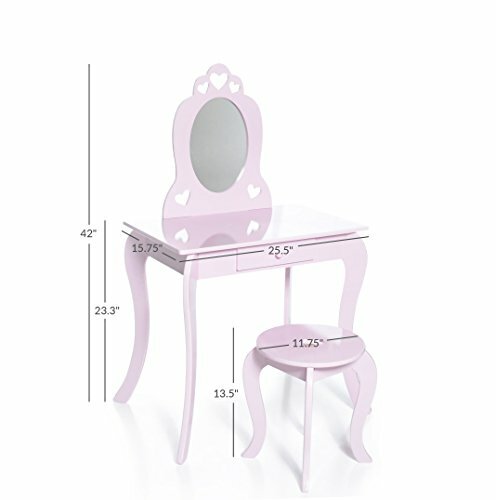 Super sturdy construction, shatter resistant mirror and rounded corners are just some of the ways that we made out vanity set worry free. 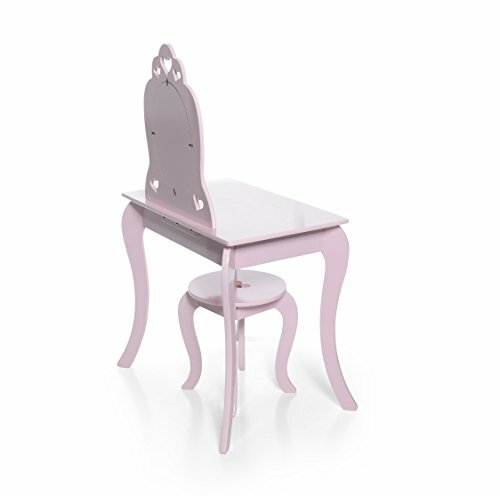 Its solid craftsmanship and simple assembly will outlast your children’s childhood and its timeless design can be passed down to your kids’ kids. 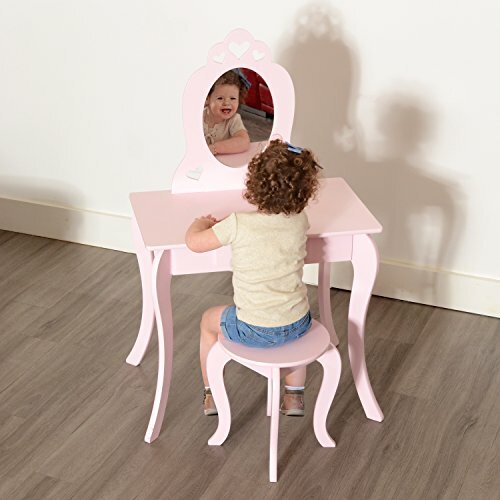 Passion for Fashion Looking good is feeling good, and aspiring movie stars, little princesses, corporate executives-in-training, or fashion designers will feel pretty darn good about checking themselves out while they imagine dressing for the job they want, or practice on friends. 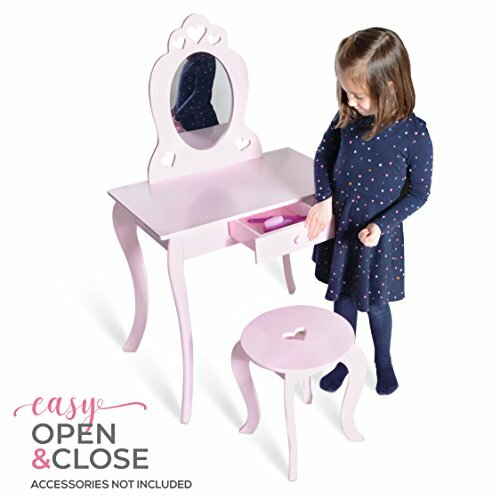 The ornate, built-in mirror stands at just the right height for little ones to brush their hair and try on different accessories, and a captive jewelry drawer underneath is the perfect size to stash valuables or lipsticks and hairclips before they get lost. You might just want one for yourself! Don’t worry, we won’t tell. Both the table and stool have been strength and safety tested to conform with ASTM F963-17 consumer standards, because there’s nothing fashionable about accidents! 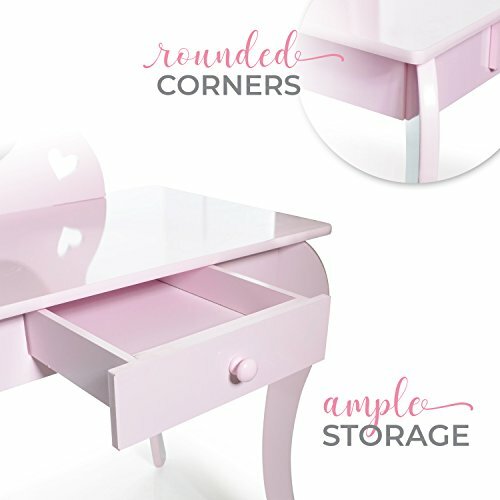 Rounded corners, shatter resistant mirror and drawer stopper; Safety is our priority. 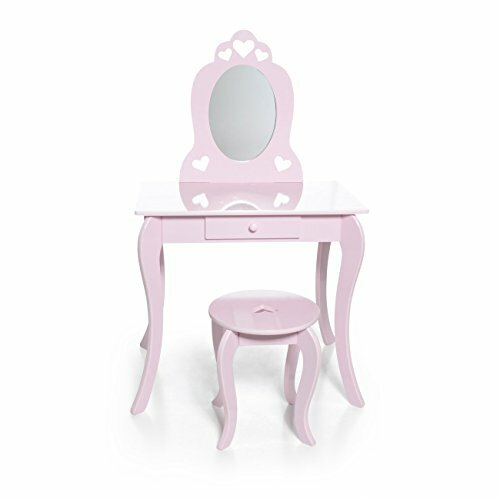 Vanity set measures 25.5×15.75×42″ with a seat height of 13.5″. Assembly time avg. 20-30 min, tools included. Recommended for ages 3-9 years. Made with high quality materials for years of fun spanning generations. OMG! You can now attend Hogwarts IRL….